You say that and then five minutes later you’re laughing and clapping and yelling “Dance, zombie, dance!” Also, “phresh”? We talked about this, Ted. 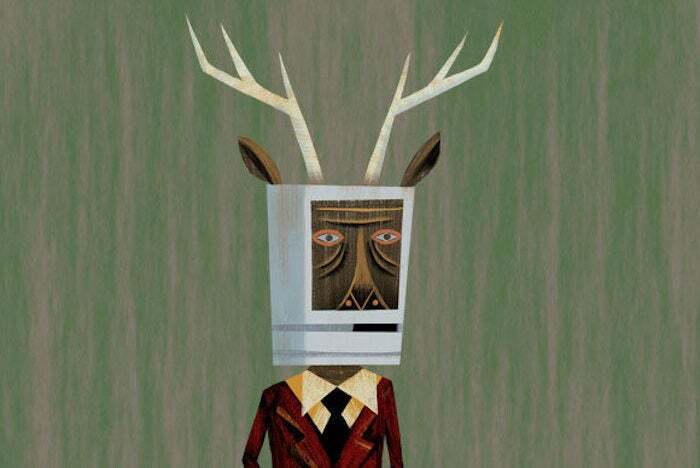 The Macalope regrets to report that BlackBerry… well, that doesn’t really need a verb. He simply regrets to report that BlackBerry. They had a sales forecast? They still sell stuff? Who knew? So, why is the Macalope beating a horse that was presumed to be dead but has somehow been found stumbling nearsightedly around the pasture, attempting to mate with sawhorses, rain barrels and a rusted-out pickup truck? Because it really wasn’t all that long ago that people were still touting a BlackBerry comeback. People wrote that. As recently as 2015, Robert Baillieul was suggesting people invest in BlackBerry instead of Apple because, and this is a direct quote, hedge fund managers “see an epic rally ahead”. Yes, it was tremendous advice because in late May of 2015, BlackBerry was hovering around $9.80 per share and right now it’s skyrocketed to about, uh… $9.80 per share. Apple, meanwhile, has gone from $120 per share to $145 per share over the same period. So, you could have invested in Apple and seen a return of 21 percent or you could have taken Baillieul’s advice and seen a sweet “indivisible by zero” error in your portfolio spreadsheet. But we are not yet done with this cavalcade of wrong, because Singh wasn’t the only one who had read somewhere that BlackBerry was once praised for its security and then read about a few security problems Apple had and just started typing. In 2013, Sean Udall suggested Apple buy BlackBerry to help make its products more secure. Because, you know, you can just buy security and bolt it on to whatever. That’s how that works. This would create a nearly unassailable device entry in the enterprise segment: Apple’s ease of use with BlackBerry’s security. Forget the fact that iOS was already the most secure mobile operating system available. No, seriously, forget that fact, otherwise you can’t write that piece. You can barely stand to read it if you know that, let alone write it. Never mind. You’ll never make it in this business, Ted. You don’t have what it takes. Which is a compliment.